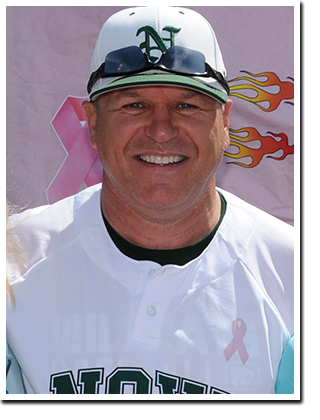 Coach Rick Green is the current manager of the 15U Michigan Bulls and has been the head varsity baseball coach at Novi High School for the past 15 years. In that time he’s won 7 conference championships, a district coach of the year award, a regional coach of the year award and posted a record of 324-152. Novi also won the 2012 Regional Championship. His 15U Bulls team is loaded with 2016 and 2017 prospects that will compete at some of the best tournaments around the Midwest in 2014. Rick has also been providing top notch hitting, pitching and fielding instruction at the Bullpen since 2010. The past few years Rick has coached the Bulls 16U, 17U and 18U teams, seeing 15 players on to the college baseball ranks. In total, Coach Green has helped over 50 players move on to college, professional and even major league baseball (Mitch Maier of the Kansas City Royals / Boston Red Sox) in his years as a coach. He is also a member of the MSBL Hall of Fame. In addition to coaching for the Michigan Bulls, Rick’s company Service Sports also provides the program (and the Bullpen Baseball Academy) with all of their equipment needs. You can contact Rick at rrgreen@servicesports.net for private/group lessons, team training and baseball equipment/uniforms.